2. Create the best reality TV show ever. Here’s why I envision doing – All state and federal politicians would be required to wear body cameras 24 hours a day, seven days a week, 365 days a year. For the past several months, there has been a lot of chatter about requiring police officers to wear cameras as a way of monitoring officers. I’m not sure what that would accomplish, but some folks, primarily politicians, think it’s a good idea. With my plan, politicians would have to wear body cameras. All of the video would be edited into a half-hour TV show that would air every night. The goings-on at the state Capitol, in Congress and the White House would provide a treasure trove of comedy. For example, folks in Congress have recently been arm-wrestling over President Barack Obama’s immigration actions. He decided on his own to allow work permits for 5 million people who arrived here illegally before they were age 16 or who are parents of U.S. citizens. Some members of Congress don’t like it because they say only they have the authority to make those decisions. Except they refuse to do that. For years both Democratic- and Republican-led Congresses have piddled around on the immigration issue. So now that the president has done something, they’ve had a hissy fit and wanted to defund that presidential action as part of a Department of Homeland Security budget bill. All forms of comedy ensued. The Senate looked foolish, the House looked more foolish, and the president totally missed an opportunity to work on a more comprehensive immigration bill. A wise senator — and there are a few of those — once told me that politics is about timing and arithmetic. If the timing isn’t right, or if you don’t have the votes, it’s best to either work out a compromise that more people can support or shut up. Folks in Congress have forgotten that advice. That’s where the body cameras come in. I want to see these brainiacs in action. In their caucuses, the halls of the Capitol and elsewhere. It would be House of Cards meets Laugh-In. Don’t get me wrong. I have equal contempt for both sides of the political aisle. But what honks me off most is when these folks know what they need to do but refuse. It’s like a big, multi-trillion-dollar version of a teenager refusing to clean his room. Even though he knows he will eventually have to clean it or face the consequences. At the state level, Oregon could have provided some great footage during the past few months, with the governor and his “first lady” heading for the tall grass once the FBI started poking around. Just imagine the footage body cameras could have provided. You could have sold tickets so people could actually see how many times the governor changed his mind and how his mind was changed. I know this makes me sound cynical. Oh, well. Whenever politicians work harder for themselves and their party than for the public — who, by the way, is footing the bill — I get a little twitchy. After all, April 15 is around the corner, and I just sent big, whopping tax checks to Washington, D.C., and Salem. I know in my heart that most of that money will be frittered away. With body cameras on politicians, I could at least see where it goes. And get a few laughs. 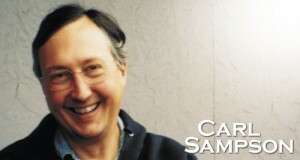 Carl Sampson is a freelance editor and writer.